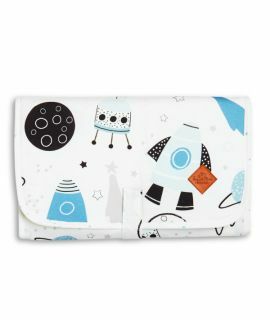 Colourful and soft set for baby composed of a blanket and pillow. Our products will make your child’s bed cosier. 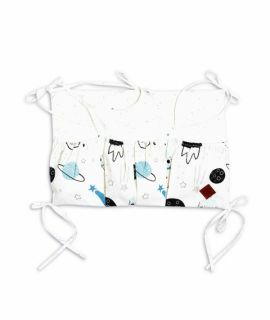 The Velvet blanket and pillow will also be ideal in a stroller or when traveling. The two-sided colour scheme is the reason why this set will never be boring. You can change the interior arrangement of your child’s room or decoration of the stroller easily. 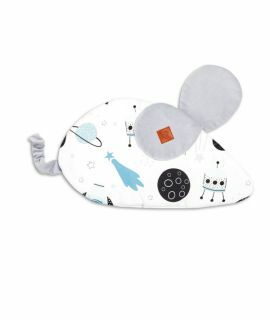 The blanket and pillow were manufactured using top-quality materials to ensure comfortable and safe sleep for your baby. One side of the blanket and pillow was made with soft Velvet while the other side was made with 100% patterned cotton. Inside, there is a hypoallergenic fluffy filling that ensures warmth and breathability. 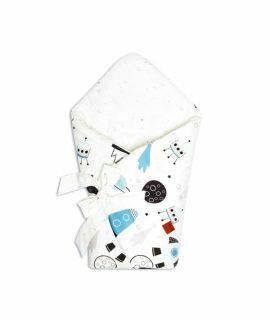 Match the blanket set with other products of our brand and create a great layette for your little one!